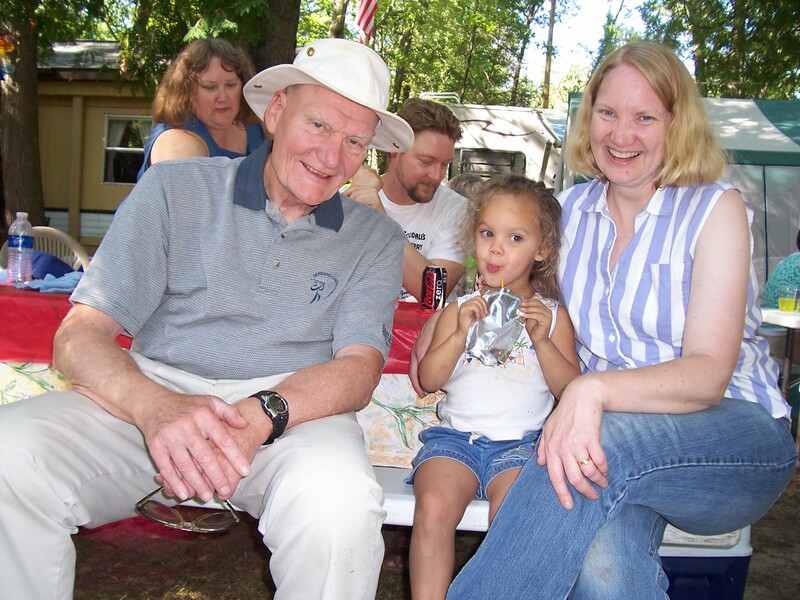 This is the first Father’s Day since my own father died on March 10, 2013. 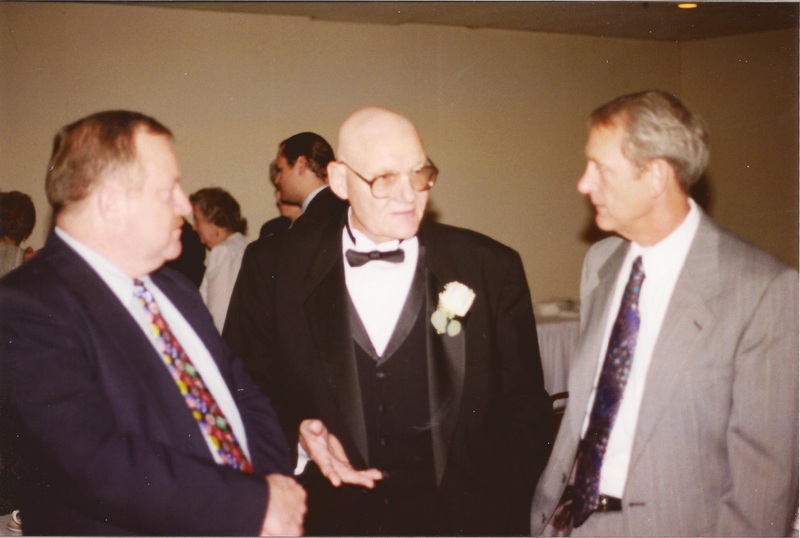 In his honor and in memory of him, I thought I would post the eulogy I gave at his funeral. Sharing a little of his life seems like a fitting final Father’s Day present to him. 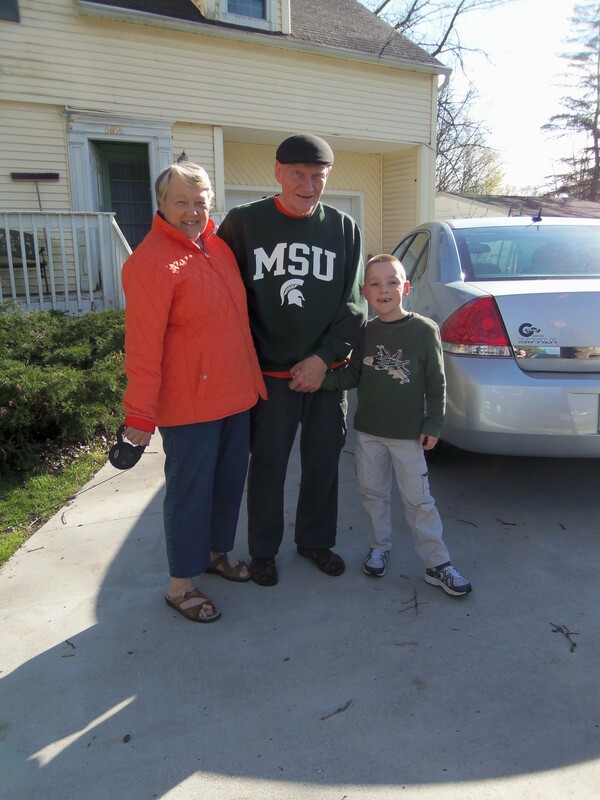 Mom, Dad, and Sam in Flint for Sam’s birthday. Dad, Mom and Sam last July 4th weekend. 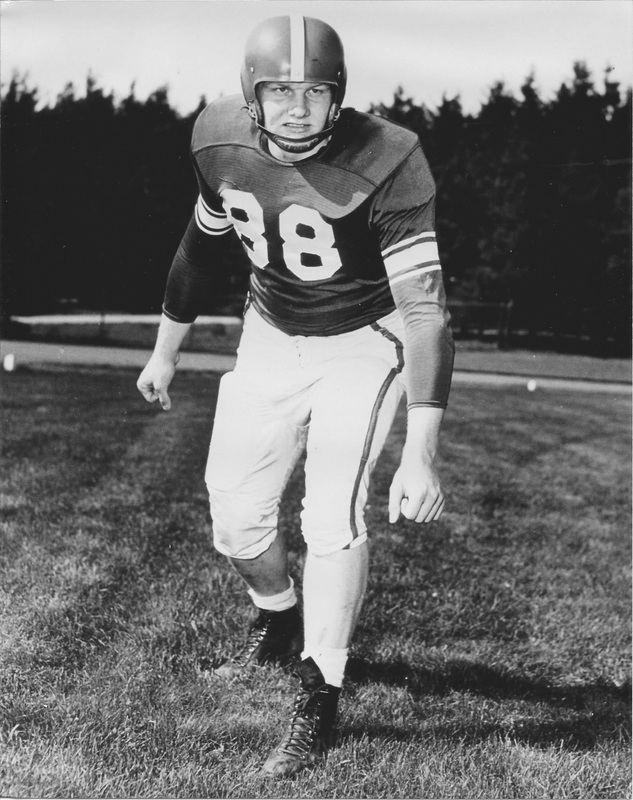 In eighteen years, God and good genetics built Carl Diener into a 6’3”, 235-pound giant of a young man. 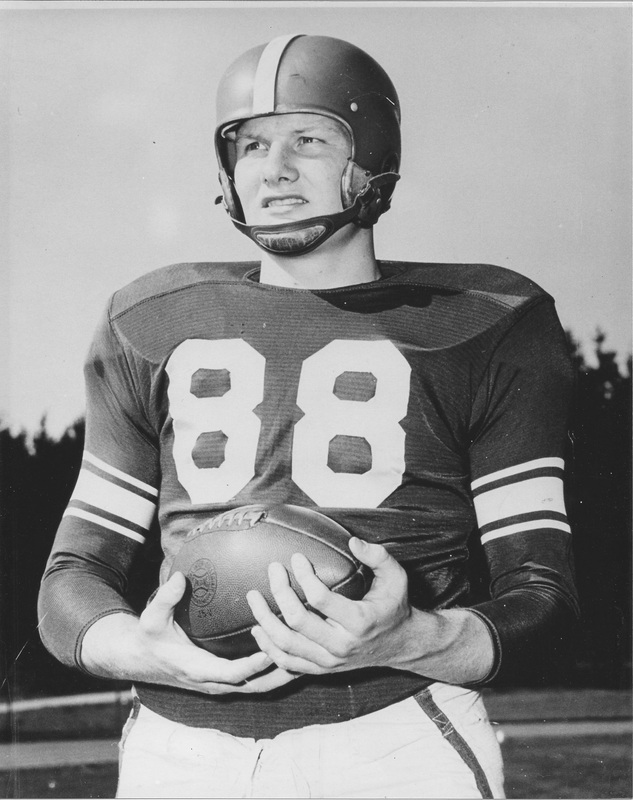 At the age of 18, he was a 9-time varsity letterman and 5-time All-State athlete, who had played in the basketball state championship and had twice won the Class A shot put championship. He had earned a full-ride football scholarship to Michigan State. 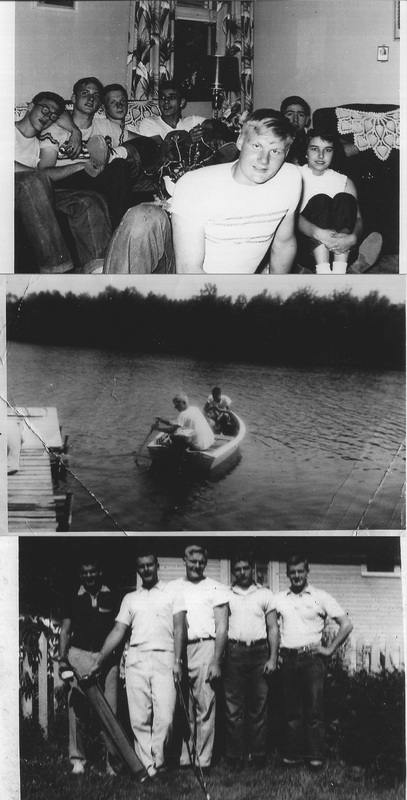 Photos of Dad as a young man. His high school friend Ron Dubay gave these to me at the funeral. The second is one that you can find in one of the newspaper clippings we have around. The Saginaw Arthur Hill football team had their banquet in Frankenmuth after the season was over. Apparently, after the meal the boys were taking turns stepping on the scale they had in the lobby to see how much each of them weighed. When Dad stepped on the scale, it broke. Thanks to his body and athletic ability, Dad was able to go to college, where he earned a degree in mechanical engineering. This led to his job at AC Spark Plug, where he worked for 34 years, a job that gave us a very comfortable life, and allowed my parents to send all five of their children to college. 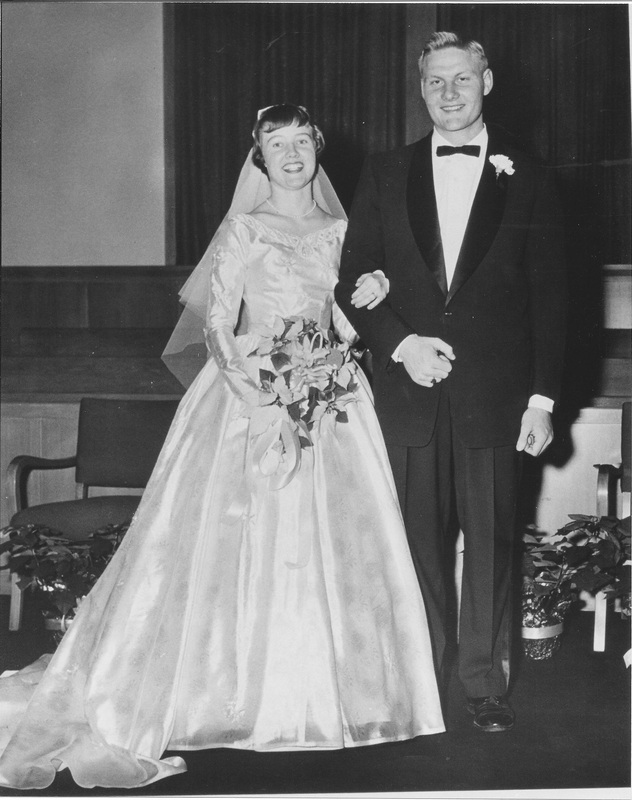 Mom and Dad’s wedding photo. Dad was in many ways defined by his body. He was big and strong in a way that was imposing on the basketball court but just fun for any kid to be around. 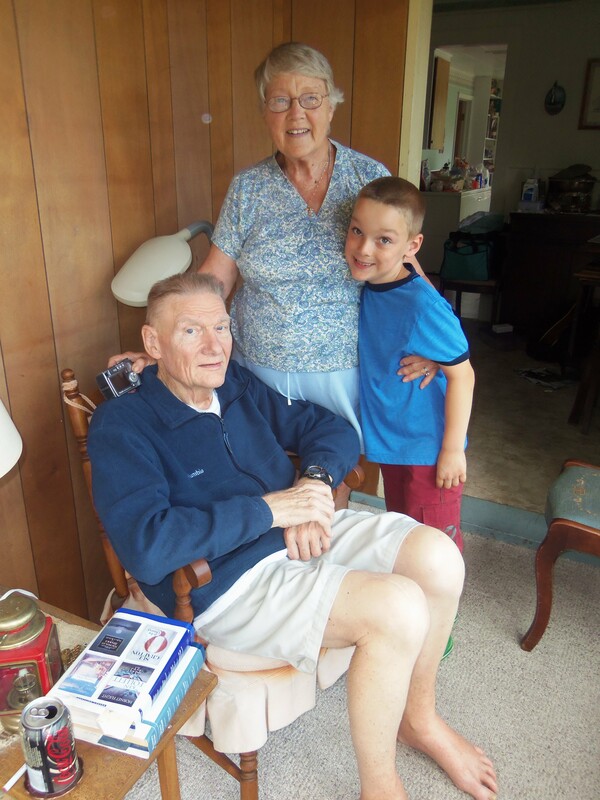 Elissa, one of the Mark cousins who is older than Tim, told me this week that she and her siblings couldn’t wait for Dad to come up to Tawas so they could climb all over him. 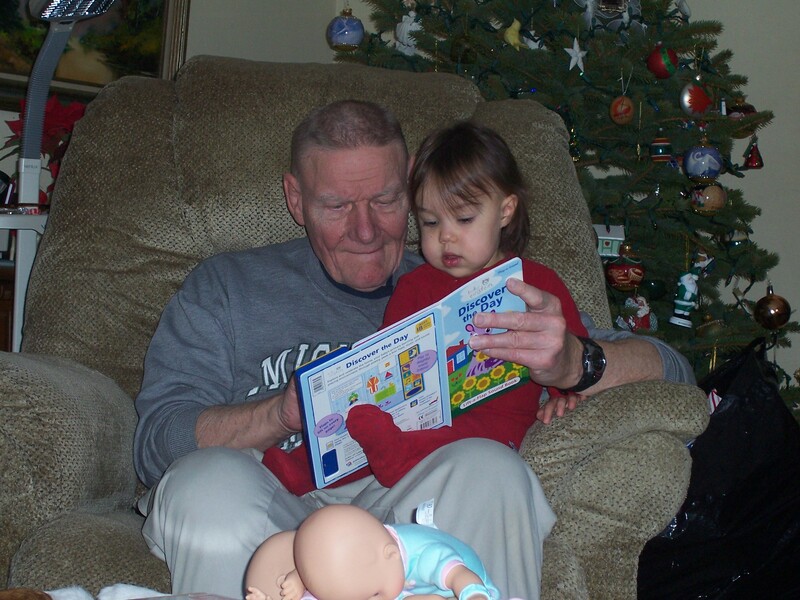 In elementary school when asked what her favorite plaything was, my sister Dawn wrote, “My dad.” His children loved to jump on him, and his grandchildren did the same. We didn’t need to look elsewhere for heroes; we had the biggest, strongest one to play with every day. He loved to coach and be around young people competing in athletics. He was still scrimmaging with high school kids well into his 50s. He played with the Nomads men’s volleyball team until he was almost 60 years old. Cancer is not something you catch like a cold. It grows over years inside you. When we look back, Dad started having shoulder pain about 18 years ago. It made it difficult to throw a ball. He chalked it up to pain from old sports injuries. Then one day when his grandchildren were jumping on him, they broke a rib. They probably saved his life, as this was an early red flag that something was wrong. Then Dad was helping Tim put in a new dock at the Tawas house, and he hurt his back. The doctors finally figured out what was wrong in 1996. An electrophoresis test revealed that he had multiple myeloma, bone marrow cancer. His big, thick bones that supported so much strength were attacking themselves, the cancer literally eating holes in the bone. Now they have more effective chemotherapy for multiple myeloma, but at that time the life expectancy was 18 months to 3 years. The best hope for long-term survival was a bone marrow transplant, a brutal treatment that essentially destroys a person’s immune system then grows it back, one which many people don’t survive, and even that would likely only extend life expectancy to 3 to 5 years. I was married to Lynelle on Saturday, October 11, 1997. The morning of my wedding while we were getting ready, my father handed me a Magic Marker and asked me to trace over the outlines of the radiation targets on his back which defined where the cancer was. Most of his back was covered. On Monday, Lynelle and I left on our honeymoon, while Dad began his bone marrow transplant. When I left, I did not know if I would ever see him alive again. Dad at my wedding. He lost his hair the week of my wedding due to the chemo he was taking in preparation for his bone marrow transplant. 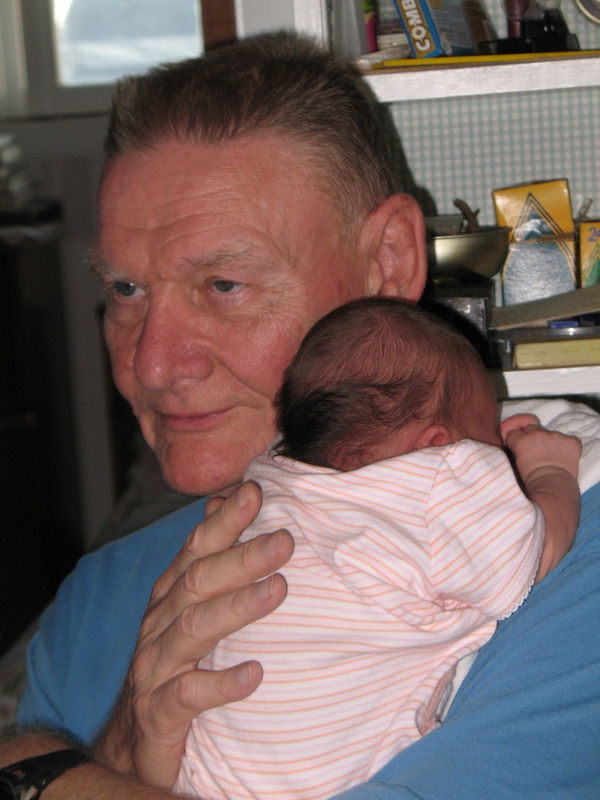 We were fortunate that Dad survived the transplant and had more than ten years free of cancer. That strong body of his, even though it was diminished by the disease, held the cancer at bay. After his transplant he was well enough to get a new dog, his last dog, an affectionate beagle name Lucky who was truly his faithful companion in his post-cancer life, giving him a daily reason for physical activity and long walks. Dad and Sam walking Lucky at Tawas. But as so often happens, the cancer came back. While the initial damage was mostly to the lower back, when it came back it attacked the upper spine and neck. It was so severe that there was a risk of paralysis and Dad needed steel rods inserted into his spine to keep him alive. 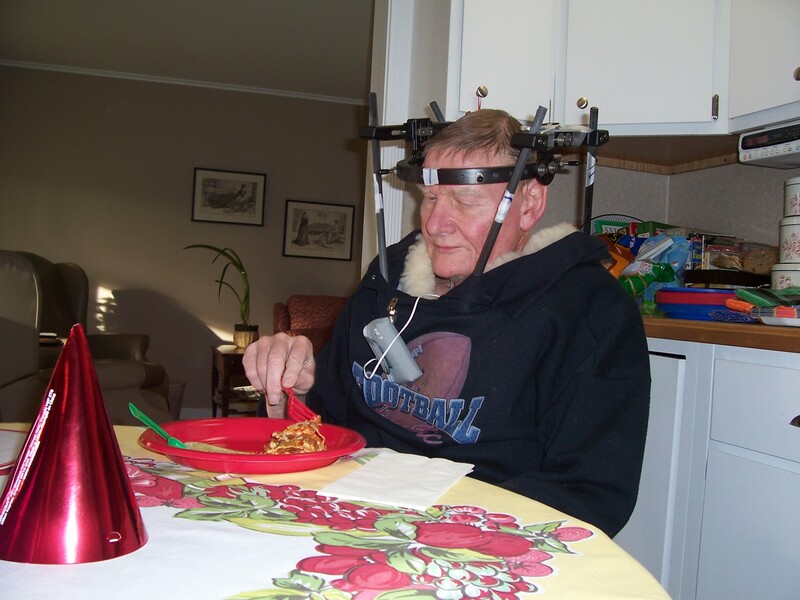 Dad in his halo after surgery to fuse the vertebrae in his neck. And he kept going. He went through more chemo, and his counts looked good for a while. But the battle was beginning to wear him out. This past summer, he told us he was tired. Tired of fighting. In his way, I think he was trying to prepare us for the end. When the doctors did an MRI this last time, they found lesions on his thoracic spine, the only part that hadn’t already been severely damaged. Dad agreed to the radiation even though he was weak, and tired; even though he had lost so much strength that he didn’t have much fight left in him. 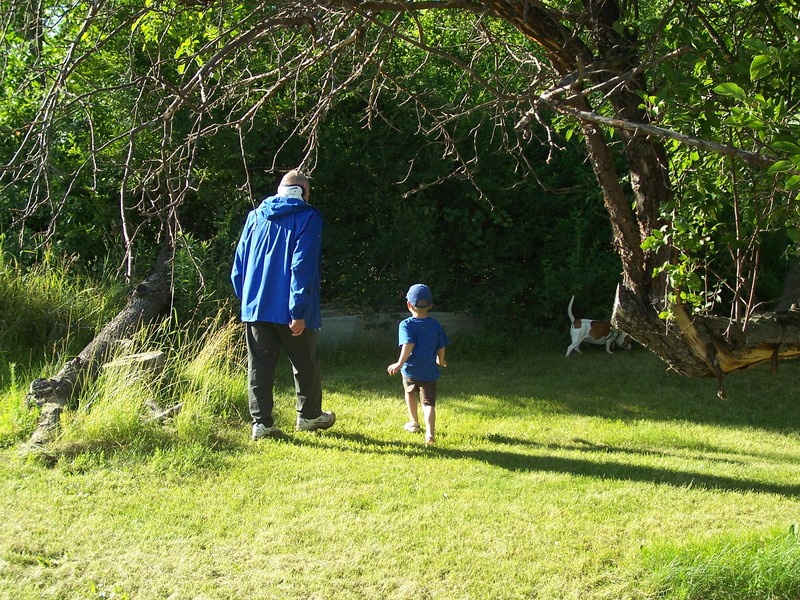 When we were in town three weeks ago to see Dad, he told me this, “My body has always done everything I asked of it, and now it won’t.” This was the final, frustrating indignity in his battle with multiple myeloma. 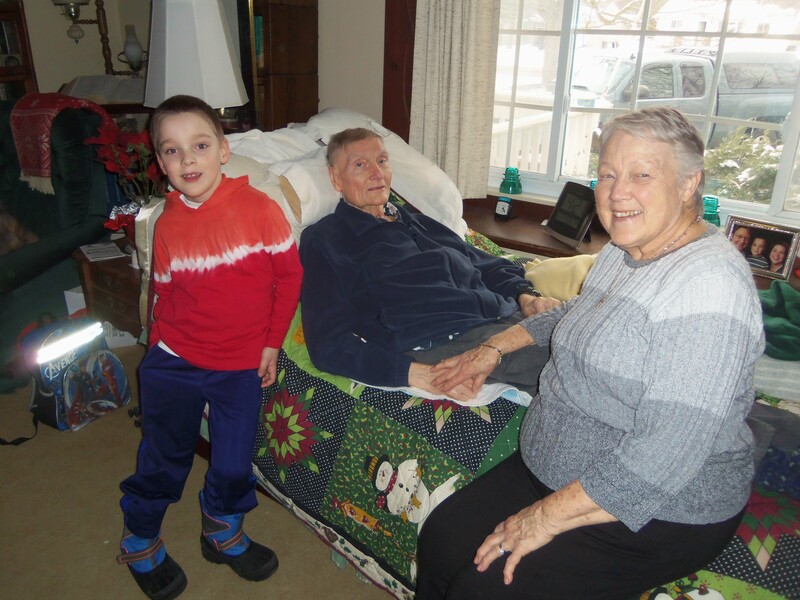 Sam with Grandpa and Grandma Diener two weeks before Dad’s death. 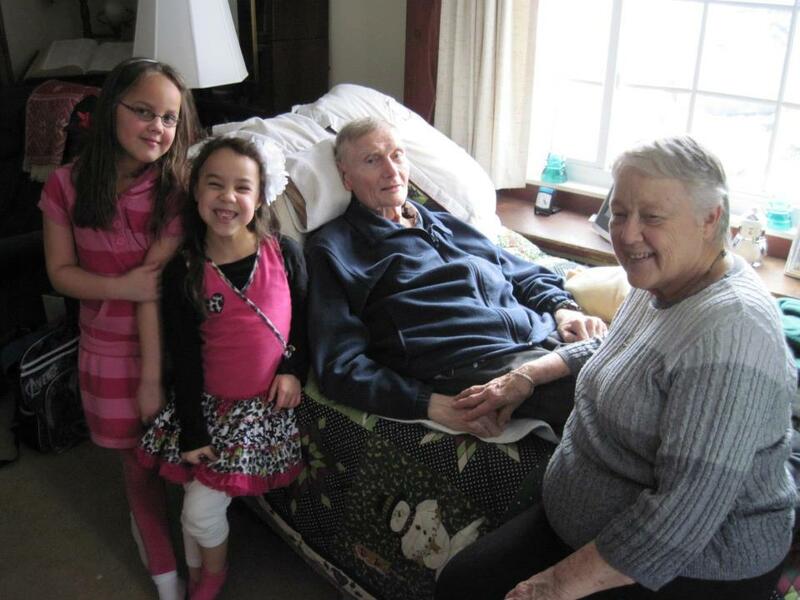 Rowan and Ava with Grandpa and Grandma Diener two weeks before Dad’s death. Lynelle and Sam and I were in church on Sunday listening to Sam sing in the Children’s Choir when Lisa called me to tell us Dad had been unresponsive during the night and that the hospice nurse was coming into to do an evaluation. She called back about an hour later to tell us that the nurse said he had a day or two left. We made the phone calls we needed to make and sent the emails we needed to send in order to leave our home in Evanston, Illinois for a week. We packed our clothes, our pictures, and anything else we could think of, and then we climbed in our van for the five hour drive to Flint. The family told Dad we were on the way. We arrived at 9:15 and told him we were there and that we loved him. He took his last breath at 9:40. He had lost more than 6 inches of height, and his emaciated body was down to 135 pounds, but he took one last opportunity to show us how strong he still was, one last time he made his body do what he wanted it to do: he waited. He waited until we were all there, all together, to let go. It took eighteen years for Dad to mature into the physical body that defined him, and it took eighteen years for multiple myeloma, that horrible cancer, to tear it down. It was a heck of a ride. It lasted longer than any of us had a right to expect, and yet we all wish it could have continued for just a little bit longer. What you see in that pine box is a burned out husk, an empty shell of my father. He squeezed every last ounce of life out of that body, and I am proud of him for that. And I am even prouder to say I am Carl Diener’s son. And here are a few photos of things we were able to share with Dad after his transplant. 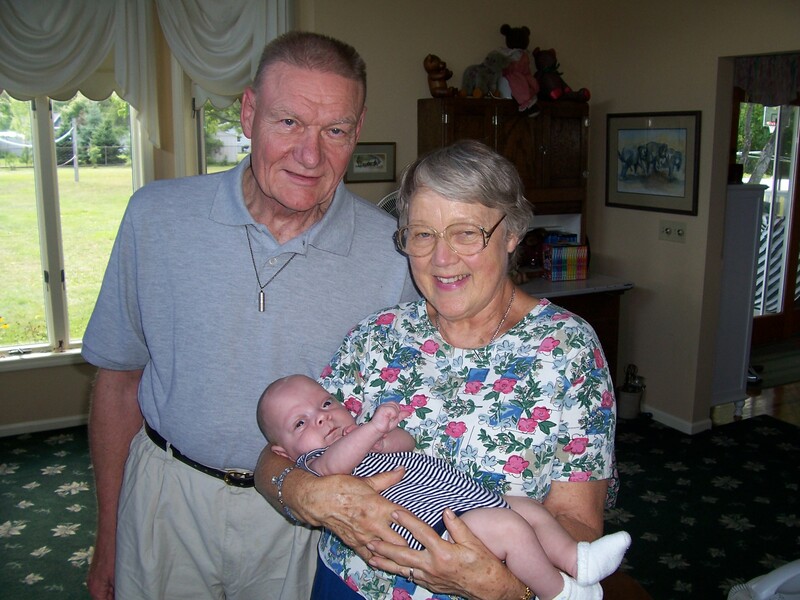 Dad and Mom with Sam. Dad, Rowan, and Dawn at Mar-Ton. 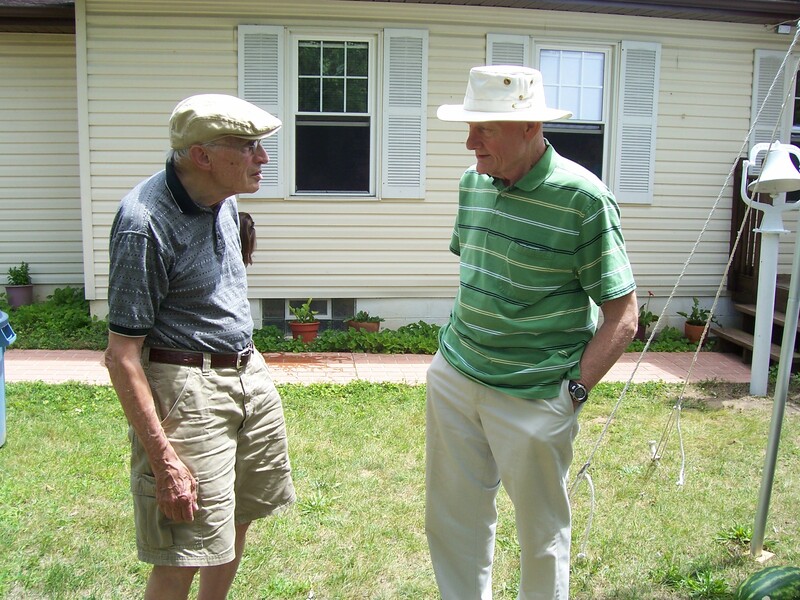 Jack Willett and Dad at a Surbrook Family Reunion. 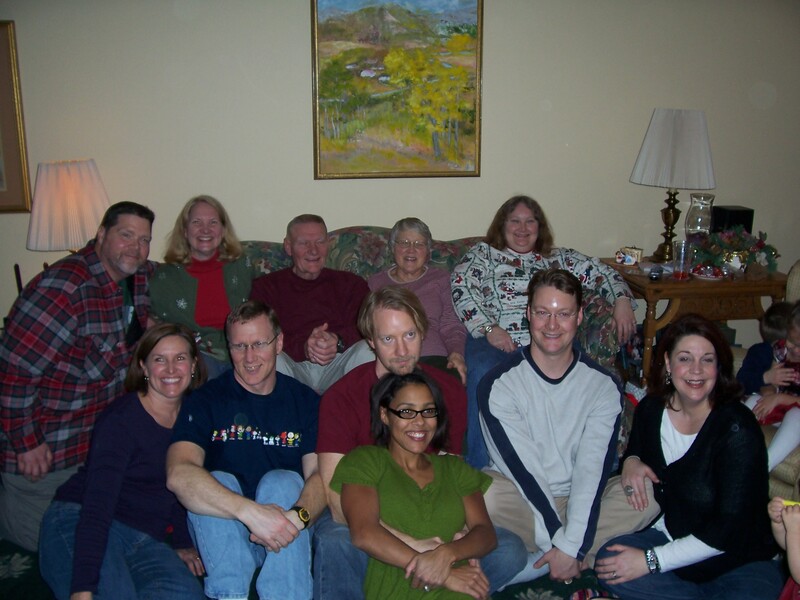 Mom and Dad with all their children and spouses. 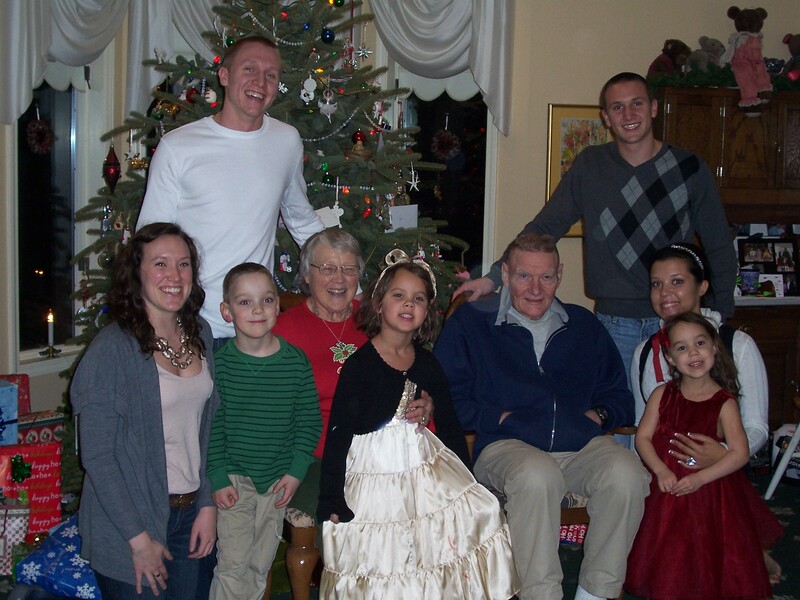 Mom and Dad with all their grandchildren. 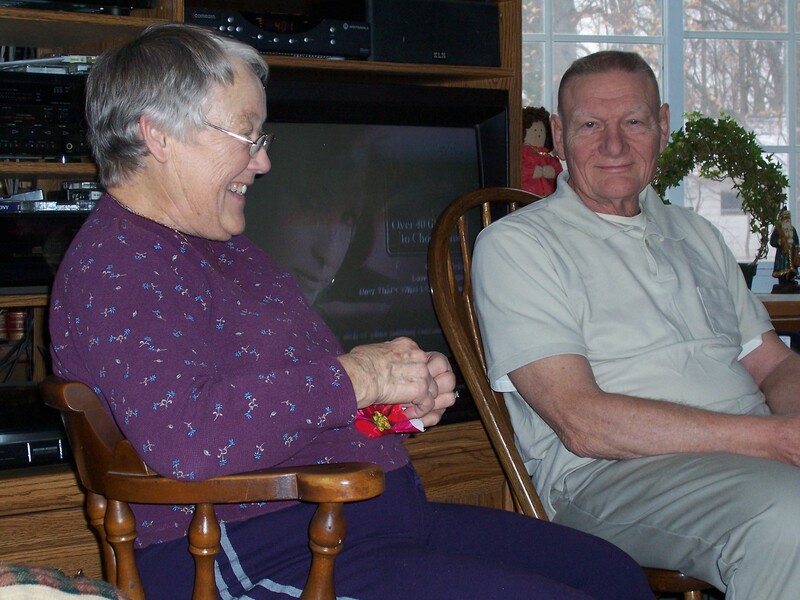 Mom and Dad on Christmas morning.